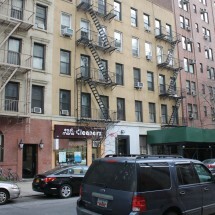 A trio of prewar walk-up buildings in a superb Upper East Side location just one block from the 86th Street thoroughfare. 163-165-167 East 87th Street, located on Lexington Avenue and built in 1910, is comprised of 3 pre-war, 5-story low-rise buildings adjacent to each other. 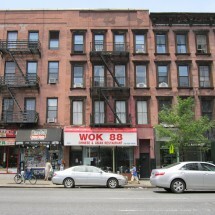 Each of these 3 buildings walk-up buildings - consists of 18-20 residential units. Only 1 block away from the 86th Street and Lexington Avenue subway stop, 163-165-167 East 87th Street offers easy access to the 4, 5 and 6 trains. Despite the convenience of subway travel, you may never want to leave this neighborhood with its tremendous appeal - in terms of restaurants (from the vegetarian, casual Candle Café to the upscale variety of The Carlyle Restaurant), museums (such as The Metropolitan Museum of Art, Solomon R. Guggenheim Museum and Jewish Museum) and fitness (like New York Sports Club, Equinox Sports Club and The Jacqueline Kennedy Onassis Reservoir track in Central Park).